As I already wrote before in an earlier post, according to the RDW you need to 2 actions to operate the reverse. Today I tried making something for that. I used the cut off parts of the frame for this. So this is what I came up with. It works mechanically, with the clutch lever you move the left part up, this is the interlock. With the choke lever you can then move the right part which will eventually operate a pressure switch. If you now release the clutch lever the right part will stay locked in this position (reverse). While it works well in theory, it sadly doesn't in practice. I'd need to add some springs and be able to hold down the clutch and choke cables. This would get too complicated and with many moving parts so it can easily fail. I'll have to look for something else. Meanwhile some more bad news. Delivery of both the controller and motor got delayed. Sadly I'll have to wait even longer to get the parts. I'm having some doubts about which batteries I'm going to use. I think I will run into some problems with the batteries I intended to use (CALB SE70's). There will be a box around them so that they're protected but they need some space at the top for connections and cables. In a few places I think this won't be possible in the frame. So I might have to go with different batteries. Luckily there's a lot of choice, however the sizes are generally the same for all LiFePo4 batteries with same capacity. But there is one that might have the right size to fit in the frame (CALB CA60's). Here are both next to eachother. The paper models are all based on the blue CALB SE70's. The gray CALB CA60's are the newer types, these will fit as well but I'd have to place most of them on their sides instead of straight up. This shouldn't be a problem for these batteries, only upside down is known to be bad. - They're much lighter. In total 24 of the SE70's will weigh 60kg while 24 of the CA60's will weigh 48kg. That's a 12kg difference which would get the total weight a bit closer to original again. - They won't need any cooling, even under heavy load. The SE70's though might need cooling. - Under heavy load there's not much voltage sag, or in other words better performance since the voltage the motor can use will stay higher. With the SE70's there's a lot more voltage sag. - Better performance with cold weather, for if I'd ever want to ride the quad bike below 0 degrees (C). - Performance will remain the same, whether the batteries are full or near empty. With the SE70's performance will decrease gradually. - They'll take up less space since they're smaller. They only have to be placed differently in the frame since they're higher. The only advantage of the SE70's is the higher capacity so I'd be able to ride a bit further. And they're also lower so I could place them straight up which is always better. But well, it's not really that much of a problem. Think I'll go with the CA60's now, will probably be easier to fit them in the frame with boxes around them. And maybe the range will be pretty much the same since the weight of the quad bike will be less. Today I continued again cutting off some parts of the frame. Upper plate for mounting the radiator is gone. I must say it's a pretty solid frame. Took quite some effort to cut through it. Bottom plate for mounting the radiator also gone. Bottom engine mounts also gone. Only the upper engine mounts left now and then I'll have to even out everything a bit with the rest of the frame. Meanwhile I ordered the motor at LMC Ltd. and some other parts. Will probably get it within 2 weeks. The controller sadly had a delay so I still have to wait a bit longer for that. 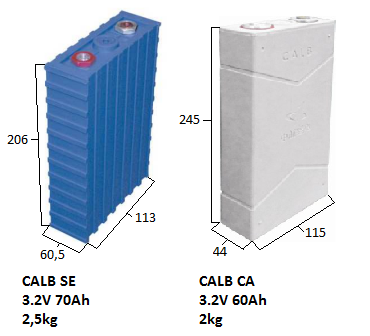 As for the batteries, I'm still waiting before I order them since I'm not sure yet if I will actually go with the CALB SE70's. Today I cut off a few parts that were in the way, also the battery tray. Only had a small problem removing the battery tray. Couldn't cut it off completely because of the annoying angle so I tried bending it a bit to get it off. It worked, but sadly it also made a small hole in the frame. I'll have to get this welded up again. Hopefully this will give no further problems. At least there's enough room for the motor now. The battery tray will probably just come a little higher, plenty of space there. Still have to cut off the rear engine mounts and mounts for the radiator to create more room for the batteries. It's just that these are also placed at an annoying angle, can't really get to it easily. So I'll have to think about how to do this properly first.